Promising a fun-filled, family-friendly day our, our 2019 edition of The EWmums Show is bigger and better than ever before. This time, we're embracing the weather and getting outdoors at Emirates Golf Club. Happening on Saturday March 30 from 10am onwards, mamas, husbands, kids and families can enjoy FREE entry to our special event entirely dedicated to all things mum. Our annual EWmums Show might be tailored towards mums-already and mums-to-be, but that doesn't mean the rest of the family aren't welcome. Bring along hubby and the kids or meet-up with friends at our 2019 edition. Emirates Golf Club is a great location for a family-friendly day out, and we're super excited to host our EWmums Show here this year... Let the kiddies loose on a bouncy castle, slide and enjoy some free face-painting! There'll also be mascots roaming around, so be sure to take a selfie. Don't forget - it's FREE entry for all! At our EWmums Show, Amana Healthcare will be giving 3 lucky mamas the chance to win shopping vouchers on the day. La Mar Aesthetic Surgery Center will have lots of free treatments up for grabs on their spin-the-wheel, plus Sentinel Storage are giving away 1-month FREE storage to one lucky EWmum! Moorfields Eye Hospital will also be offering free basic screenings for adults and children - plus free consultations. Take the little ones with you and they could walk away with some stick-on tattoos. Suitable for kids, of course. For your kiddies, head to Citron - they'll be offering some colouring fun for your little ones and will be giving away a free dolphin cutter with every lunch box purchased. Over at Dial-A-Battery, say hello to Captain Volt. He and their team will be giving away a 25% discount on their services, and you'll walk away with a goody bag. We've gathered some of the best names in Dubai to join us at our EWmums Show; from newbies you should know about, to well-known brands you need to re-connect with. A special shout-out to our sponsors Kings' College Hospital London and Dr. Sulaiman Al Habib, whose expert teams will be attending on the day so you can ask all of your healthcare-related questions! Not forgetting Drs. Nicolas & Asp, Moorfields Eye Hospital Dubai, and Amana Healthcare, too! La Mar Aesthetic Surgery Center will also be joining us - and they'll be offering free dental checks and fun activities for kids. Make sure to take a go on their spin-the-wheel, because you just might win a free treatment for yourself. Covering all of your storage needs is Sentinel Storage, and if you're seeking advice on Dubai's real estate - a visit to Engel & Völkers' stand is a must! Don't forget to grab a selfie with Captain Volt at Dial-A-Battery's stand, too. For the foodies amongst you, be sure to visit Oregano, Treat Gourmet, Citron and Let's Cook. The latter brings you healthy meal plans and the fresh ingredients you need to enhance your diet and what you eat. Making sure you always have the chance to save your fils is Cobone; their team will be joining us on the day to make sure you are clued-up about daily deals available on their website and application. And lastly, RETOLD will be joining us, who work to give clothes a second chance at happiness. Browse the beautiful clothes available that they'll be bringing on the day. 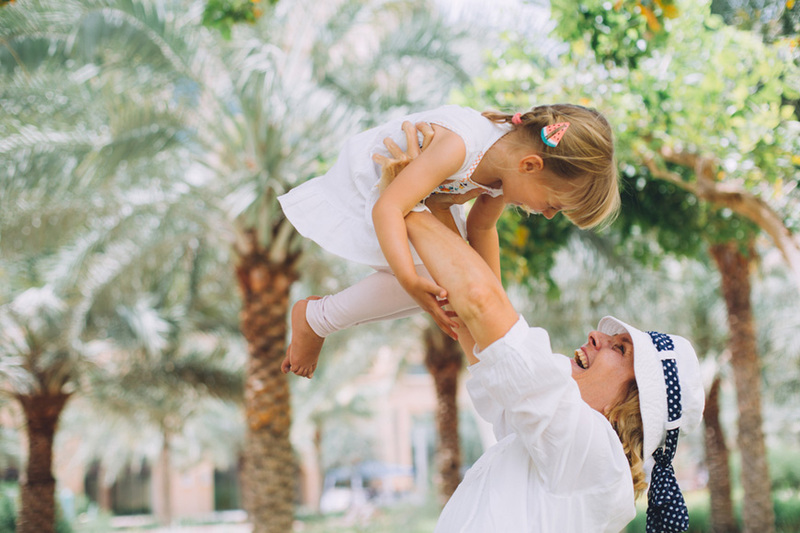 There's no better way to get your hands on some bargains and discounts when shopping in Dubai - come along to our 2019 edition of the EWmums Show and you'll be able to enjoy exclusive discounts from RETOLD and other exhibitors, too. As always, we'll be bringing along some of Dubai's most talented crafters and artisans to join us on the day. Find the most perfect gift for that special someone, or treat yourself to a new accessory or home decor. Make sure to say hi to the Croutique team, and a stop at The Gift Box is most definitely worth it. We'll have BBQ stations and pizza-making at this year's event, and of course, Emirates Golf Club itself has various dining outlets you can visit for a bite to eat with the family. Complete with a licensed bar, too - what else could you ask for on a sunny Saturday? Public parking is available on the main street and Emirates Golf Club is conveniently located near Nakheel Metro Station.